From new venues for original six teams to facilities constructed for expansion clubs, the NHL arena landscape has undergone a dramatic shift in the last two decades. To look at where things stand in the league, we present a list of NHL arenas oldest to newest. 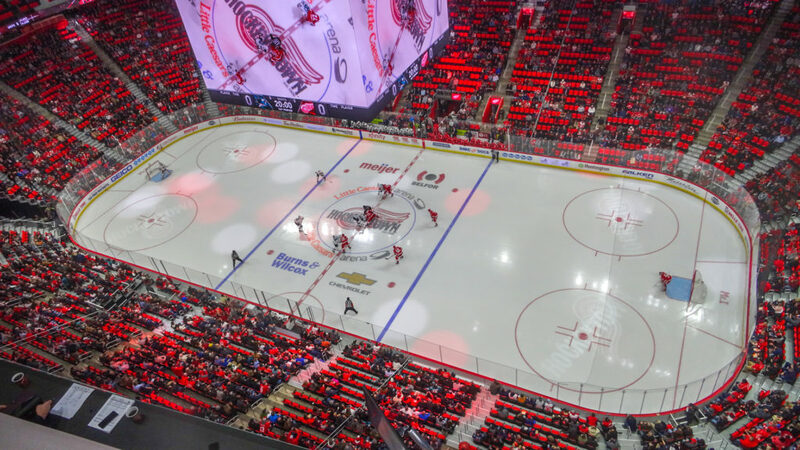 While no new arenas are opening this season, the NHL debuts of a pair of venues last year–Detroit’s Little Caesars Arena and Las Vegas’s T-Mobile Arena–advanced the state of the art in the arena world. The fourth venue with the Madison Square Garden name, this arena is currently the oldest in the NHL and the second oldest in the NBA. It underwent a major update a few years ago, as a three-phase renovation was completed in 2013. As they await the completion of a new Belmont Park arena, the Islanders will split at least the next three seasons between Brooklyn’s Barclays Center and the Coliseum, their home from 1972-2015. The Coliseum closed not long after the Islanders’ initial move to Brooklyn to undergo a renovation, reopening in 2017. The arena boasts a distinct roofline as one of its signature features. Though it received a $37 million renovation in 1994, the venue lacks many of the amenities found in today’s arenas, which has prompted questions about what the team will decide for its long-term facility plan. Both the team and the arena had different identities back in 1993—Mighty Ducks of Anaheim and Arrowhead Pond, respectively—and the Honda Center itself has been refreshed over the years. The Grand Terrace project was completed in 2013, and the venue received a new scoreboard in 2015. After spending two seasons at Daly City’s Cow Palace, the Sharks arrived in 1993 to what was then known as San Jose Arena. Over its years, the SAP Center has been affectionately referred to many as “The Shark Tank,” and the team had a 205-game sell out streak that ended in October 2014. Several upgrades were completed over the past two summers, with improvements completed prior to the 2018-19 season including new gathering spaces and premium areas. Enterprise Holdings was announced as the arena’s new naming-rights partner in 2018, leading to an identity change for the former Scottrade Center. The successor to the venerable Chicago Stadium, United Center has hosted three Stanley Cup Finals (2010, 2013, 2015). Improvements to the arena have been made over the years, including an extensive renovation to the 300 level that was completed in 2009. Originally GM Place, the arena has had a few updates over the years, but recent work on the outside of the venue has attracted the most attention. Multiple towers have been developed in the area surrounding the exterior of the venue, including a west tower that features The Sports Bar Live! at Rogers Arena, which is located on the fourth floor of the building and cut into the side of the arena. The replacement for Boston Garden, TD Garden received a $70 million, two-phase improvement that began in 2014. The project led to numerous concourse improvements, as well as a Wi-Fi infrastructure. 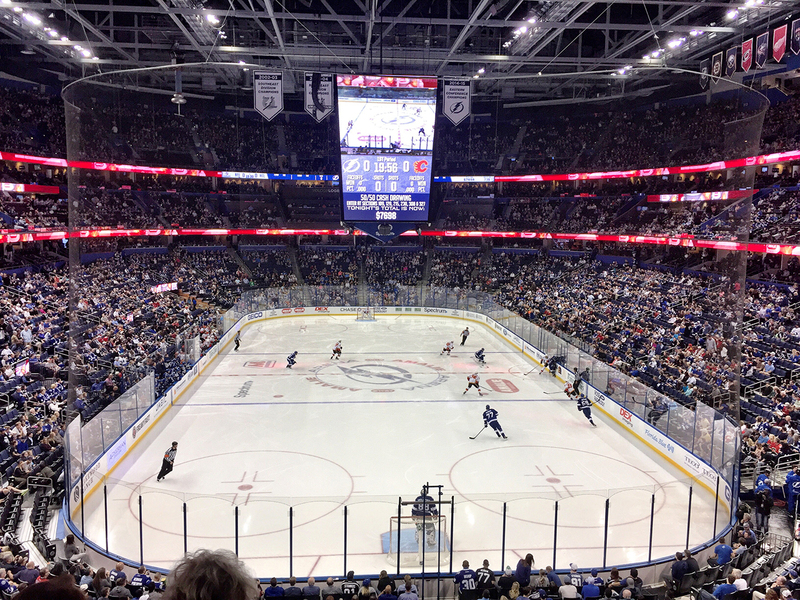 Amalie Arena has received significant investment in recent years, with improvements focused on areas such as technology and premium seating. An outdoor roof deck with a view downtown Tampa was also added. The Lightning finalized a lease extension through 2037 earlier this year that includes future upgrades, ensuring that the venue will be their home for years to come. 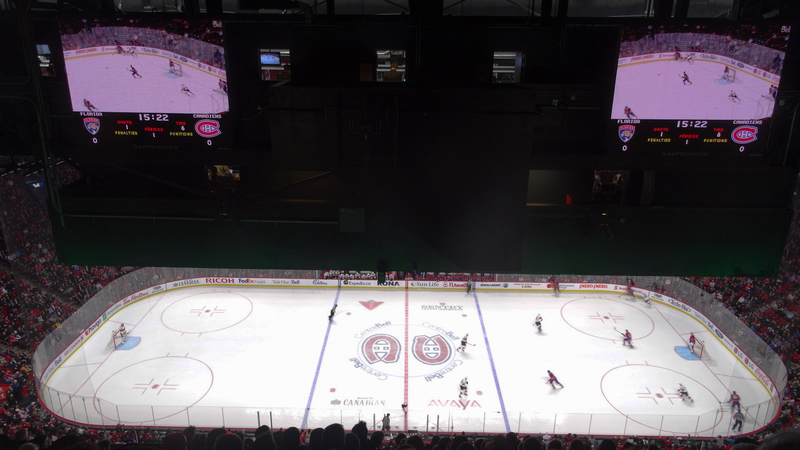 With one of the more unique atmospheres in the NHL, Bell Centre has managed to build on the legacy of the Montreal Forum. Improvements have also been made inside and outside of the arena, including the development of new condominium towers. While the franchise has been on the rise with its play in recent years, the Predators have also been active in updating this downtown Nashville arena. These upgrades have included improvements to the concourses and concessions. Located in suburban Kanata, the arena helped Ottawa secure an NHL expansion franchise in the early 1990’s (the Senators played at Ottawa Civic Centre from 1992-1995 while awaiting its completion). The Senators are now actively pursuing a new arena, however, with owner Eugene Melnyk pitching it as part of a redevelopment project in downtown Ottawa. Not long after its opening, the venue’s first jumbotron collapsed during a maintenance check, though no one was hurt as a result. The HarborCenter—a mixed use development that includes two NHL-sized ice rinks and was financed by Sabres owner Pegula Sports and Entertainment—opened adjacent to the venue in 2014, though the arena itself may require future upgrades. Over its history, the facility has hosted finals in both the NBA and NHL. It has also been used for a number of other events, including the 2000 Republican National Convention and the 2016 Democratic National Convention. The arena underwent an early round of upgrades from a three-phase renovation prior to the 2018-19 season. Located in Sunrise, the arena gave the Panthers a home of their own after they spend their initial years of existence sharing Miami Arena with the NBA’s Heat. In 2011, new red seats were installed throughout the lower level of the arena to match the team’s color scheme. Replacing the venerable Maple Leaf Gardens, Scotiabank Arena (formerly Air Canada Centre) has emerged as a fine venue over the years and has received some upgrades, including a new scoreboard in 2015. A new naming-rights deal with Scotiabank took effect in July 2018. Opening during a boom period for major sports facilities in Denver, the Pepsi Center accommodates both the Avalanche and the NBA’s Nuggets. It received some upgrades to host the 2008 Democratic National Convention, and a new videoboard debuted in 2013. The result of an unusual partnership between an NHL team and a college-basketball program in the form of North Carolina State, PNC Arena sits on the NC State campus and gave the ‘Canes a permanent home after two years at the Greensboro Coliseum. Next to the Los Angeles Convention Center and the L.A. Live entertainment district, Staples Center is also home to the NBA’s Los Angeles Lakers and Los Angeles Clippers. As a result, it’s one of the busiest venues in pro sports. Nationwide Arena helped the city land an NHL expansion franchise, and it serves as one of the main anchors of Columbus’ Arena District. It was the first NHL arena with an attached practice facility. The arena helped lure the NHL back to the Twin Cities, and has received enough upgrades over the years to make it a viable venue for hockey and other events. A project that replaced every seat in the arena began in 2015, and other improvements were completed in 2016. Located in Dallas’ Victory Park neighborhood, the American Airlines Center features a distinct outdoor plaza that includes an exterior HD display. In 2009, it became the first NBA or NHL facility to install a 1080 high-definition replay system. Constructed in Glendale to give the Coyotes a facility of their own after they shared America West Arena (now Talking Stick Resort Arena) with the NBA’s Suns, Gila River Arena is being eyed for a replacement. The Coyotes are looking for a new arena in downtown Phoenix or the East Valley, but have been able to finalize a project. It originally opened for the AHL’s Manitoba Moose, but the arena was renovated to accommodate the return of the NHL to the city in 2011. It is also one of the few examples of a shared NHL/AHL venue, as the Moose continue to play home games there. The downtown Newark venue stands out for its unique exterior design, which includes a mix of red and gray colors. At the time of its opening, it was one of just two NHL arenas with its own practice rink. The arena was lauded for its sustainability efforts upon its opening, becoming the first NHL arena to earn LEED Gold certification. It was originally named Consol Energy Center, but underwent a name change when PPG Paints took over as the naming rights partner in 2016. The Brooklyn-based arena was built and designed for the NBA’s Brooklyn Nets, with the Islanders not arriving until 2015. Dissatisfied with the arena’s poor hockey experience for fans and players alike, the Islanders are planning a new Belmont Park arena for 2021 and will split the upcoming seasons between Brooklyn and Long Island. After years of (sometimes contentious) discussions with Edmonton officials, the Oilers moved in to the new arena in time for the 2016-17 season. It has been billed as the anchor of the Ice District, an area that is expected to bring new development to downtown Edmonton. The arena opened in spring 2016, and received plenty of use before the expansion Golden Knights began play last fall and has since emerged as a fine hockey venue. It is the first venue in Nevada to be the home of a major American sports franchise. Conceived as part of the larger District Detroit development project, the arena was originally planned as a home to Red Wings before receiving additions during the construction process to also accommodate the NBA’s Pistons. It will undergo its first major change soon, as all of the arena’s red seats are set to be replaced by black seats.